The dime is a coin worth ten cents, or one tenth of a United States dollar. The dime is the smallest in diameter and the thinnest of all U.S. coins currently minted for circulation. The 32nd President, Franklin D. Roosevelt, is featured on the obverse of the current design, while a torch, oak branch, and olive branch covering the motto E pluribus unum are featured on the reverse. The dime's value is labeled as "one dime," since the term 'dime' also applies to a unit of currency worth 10 cents or 1/10 of a dollar. Mintage of the dime was commissioned by the Coinage Act of 1792, and production began in 1796. A feminine head representing Liberty was used on the front of the coin, and an eagle on the back. These motifs were used for three different designs through 1837. From 1837 to 1891, "Seated Liberty" dimes were issued, which featured Liberty seated next to a shield. In 1892, a feminine head of Liberty returned to the dime, and it was known as a "Barber dime". The backs of both of the latter two designs featured the words "ONE DIME" enclosed in various wreaths. In 1916, the head of a winged-capped Liberty was put on the dime and is commonly known by the misnomer of "Mercury dime"; the back featured a fasces. The most recent design change was in 1946. The term dime comes from old French "di(s)me", meaning "tithe" or "tenth part," from the Latin decima [pars]. This term appeared on early pattern coins, but was not used on any dimes until 1837. A Navajo family with a loom, required for making Navajo rugs near Old Fort Defiance, New Mexico, 1873. Navajo textiles are highly regarded and have been sought after as trade items for over 150 years. Traditional Navajo weaving used upright looms with no moving parts and support poles made from wood, as shown here. Steel pipe is more common today. ... that the Ulster cherry is named after Ulster County, New York, a region where sweet cherries are produced commercially? ...that Castillo de los Tres Reyes Magos del Morro (pictured), a fortress which guards the entrance to Havana bay in Havana, was named after the biblical Magi? ...that Navassa Island off the west coast of Haiti is claimed by the United States as an unorganized unincorporated territory? 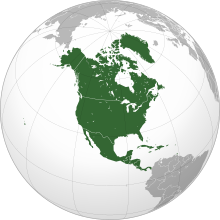 ... that the First Mexican Empire was the official name of independent Mexico under a monarchical regime from 1822 to 1823? ...that Jacob Piatt Dunn in 1886 wrote the first scholarly history concerning the Indian Wars? George Constant Louis Washington (May 1871 – March 29, 1946) was an American inventor and businessman of Anglo-Belgian origin. He is best remembered for his invention of an early instant coffee process and for the company he founded to mass-produce it, the G. Washington Coffee Company. An emigrant from his native Belgium, he arrived in the New York area in 1897 and dabbled in several technical fields before hitting upon instant coffee manufacture during a sojourn in Central America in 1906 or 1907. He began selling his coffee in 1909 and founded a company to manufacture it in 1910. Based in New York and New Jersey, his company prospered and became an important military supplier during World War I. The company's products were also advertised in New York newspapers and on the radio. The success of his company made Washington wealthy, and he lived in a mansion in Brooklyn and then moved to a country estate in New Jersey in 1927. In that same year, he lost a dispute with the tax authorities. Washington was married and had three children.